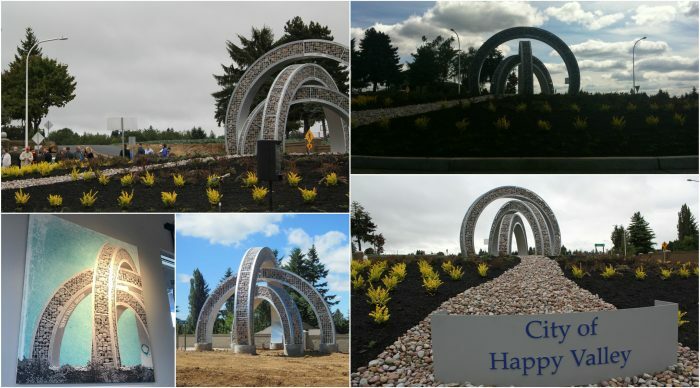 Clackamas County in collaboration with the Clackamas County Arts Alliance sought an artist to create a permanent traffic-mitigating public artwork that would signify entrance into the 172nd Avenue Roundabout and serve as a civic gateway to the City of Happy Valley. The main project goals were to improve traffic safety at the roundabout site and anchor the traffic circle in its location. Mel Stout – Harper Houf Peterson Righellis, Inc.
Neil Waibel – Harper Houf Peterson Righellis, Inc.